A retractable shade structure allows you to open and close your awning with a quick push of a button! A shade structure is great to add to your home because it not only adds aesthetic appeal, but also extends your living space and protects your home from the sun’s harsh UV rays. Once you’ve decided that you want a shade structure for your home, you must then decide if you want a fixed or retractable one. Here are four reasons to choose a retractable shade structure for your home. One of the best things about a retractable shade structure is just how easy it is to use. While there are manual retractable shade structures, most of them are converting to automatic. This means that retracting and opening your shade structure is as easy as pressing a button. Because of their ability to retract, you also don’t have to worry about the process of taking down and storing your shade structure for the winter months. The sun’s UV rays can cause damage to your skin, but can also cause your furniture to fade prematurely when it is blaring through your windows for majority of the day. A retractable shade structure allows you to easily block out the sun from your home on those warm summer days. You can even control the amount of light you want to allow in so that your home is still using natural light, but not too much that your furniture is damaged as a result. One of the greatest reasons to invest in a retractable shade structure for your home is the fact that it will end up saving you money in the long run. Though you have to invest initially to install your shade structure, it will lower the cost of those expensive energy bills. 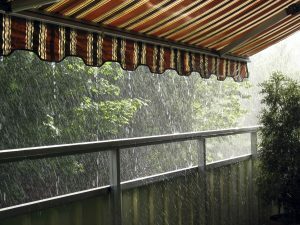 The EPA found that the cost of cooling your home can reduce by over 25% when you use a retractable awning. If you want to incorporate a lounge area onto your patio but it has always been too hot and sunny to do so, a retractable shade structure is the perfect solution. Now, you can utilize your outdoor space without having to worry about the sun blazing down on you the entire time. With a retractable shade structure, you can enjoy those bright sunny days in the shade and comfort of your shade structure. This makes it so much easier to entertain guests as well because they will always have a shaded area if the sun gets too bright or the rain decides to come down. Contact Carroll Architectural Shade Today for Your Retractable Shade Structure!